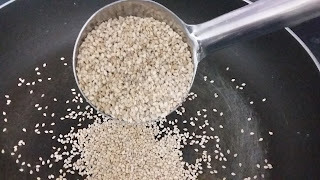 Thotakura Fry andhra style recipe, learn how to make a tasty fried version with sesame seeds which suits better for chapathi. 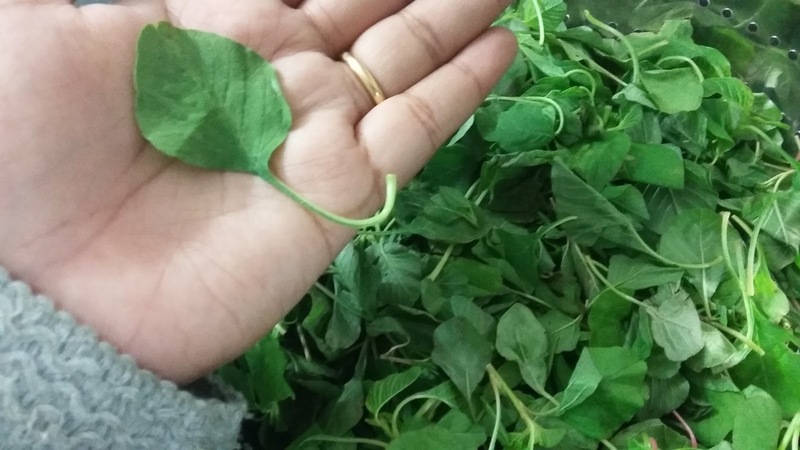 Thotakura in english is known as Amaranth leaves and thotakura in hindi is also known as chaulai or tambdi or rajgira or Mulai Keerai in tamil. 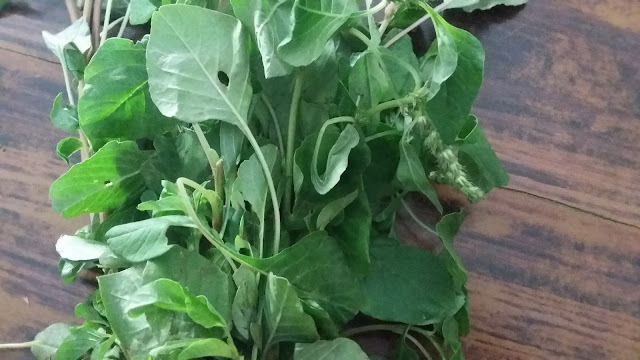 Also in some places of Telangana, Amaranth with smaller sized leaves is referred to as Kalegura in telugu and bigger sized leaves is referred to as Thotakura. Thotakura/Amaranth is a super green and it is a powerhouse of Iron, minerals and vitamins. 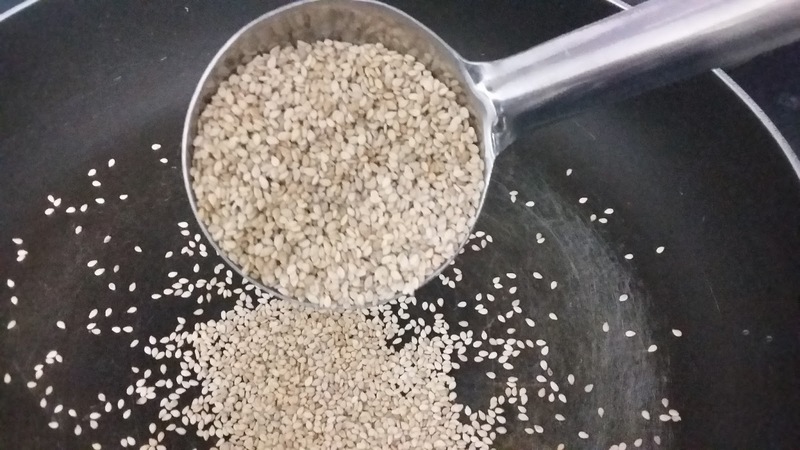 Also sesame is rich in calcium and iron. Iron increases heamoglobin in our blood, helps in hair growth, produces heat in the body. 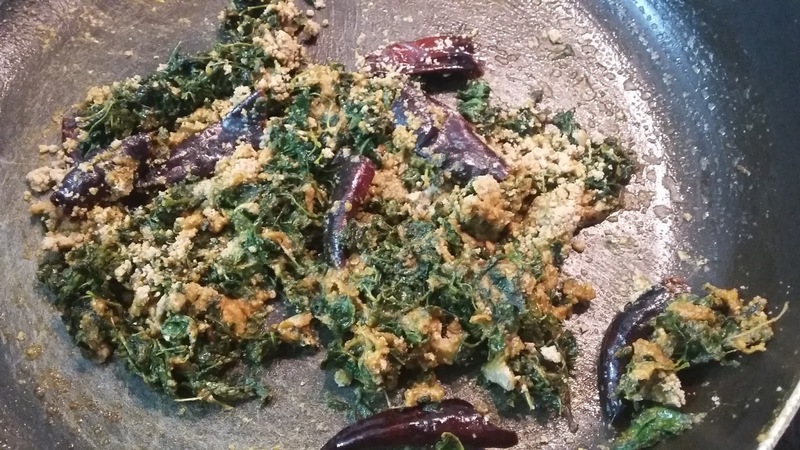 Since they produce heat these 2 foods are not advised to eat during pregnancy as lot of heat inside the body may lead to miscarriages. 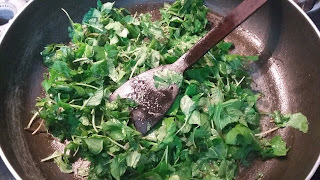 But for non pregnant woman both these foods are good for health. I would like to come up with more thotakura recipes in andhra style as we all know how healthy it is by now. 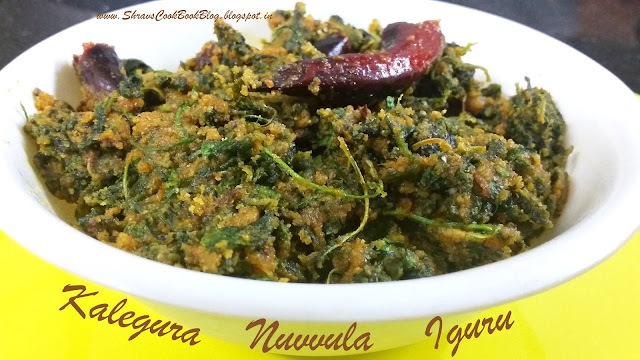 Chaulai/Mulai Keerai/Rajgira plant seeds are pounded and flour is prepared using which we can make many recipes such as Rajgira Rotis, parathas, laddus etc. 7. 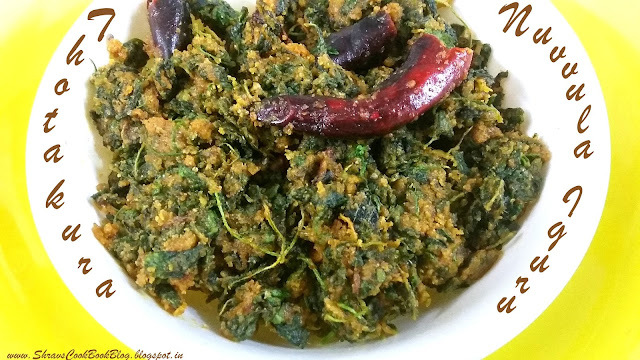 Switch off the flame and your thotakura iguru or thotakura fry andhra style recipe is ready to serve, you can serve this for chapathi and steamed rice.